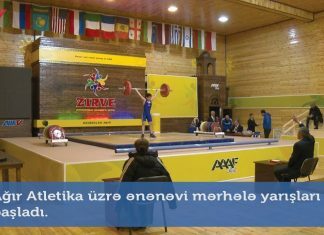 An open Azerbaijan Powerlifting Championship has been held from 15th of March to 17th in the competition hall of AAAF Park Residential Complex. 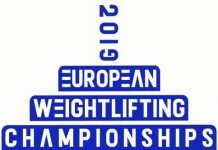 Nearly 150 athletes of 12 bodyweight categories competed at the tournament. Along with Azerbaijan athletes, the representatives of Iran also joined the struggle. First, a grand opening ceremony took place with the joint organization of Ministry of Youth and Sports of Azerbaijan and Azerbaijan Powerlifting Federation. Vice-president of the National Olympic Committee (NOC) Chingiz Ismayilov, deputy General Secretary of the National Olympic Committee and vice-president of the Azerbaijan Weightlifting Federation Azer Aliyev, head of Sports Department of the Ministry of Youth and Sports Farid Mansurov, head of Baku City Youth Headquarters Ragif Abbasov, president of Zirve International Sport Clubs Tofig Heydarov attended the event. After greeting the audience, the applauses were sounded. Then the sports representatives took a floor. The competition declared open following the speeches. The National Anthem of the Republic of Azerbaijan sounded. 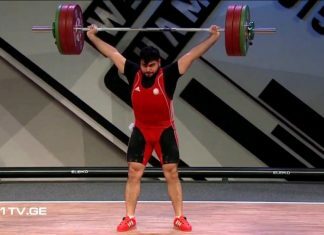 Azer Aliyev, Tofig Heydarov, Chingiz Huseynzadeh, Farid Mansurov, Aladdin Aliyev and Ragif Abbasov were invited to the stage to present message of thanks of the Azerbaijan Powerlifting Federation. The awardees were Azerbaijan Youth and Sports Minister Azad Rahimov, vice-president of the National Olympic Committee (NOC) Chingiz Ismayilov, vice-president of Azerbaijan Weightlifting Federation and Azerbaijan Powerlifting Federation Azer Aliyev, president of Zirve International Sport Clubs Tofig Heydarov and head of Baku City Youth Headquarters Ragif Abbasov. 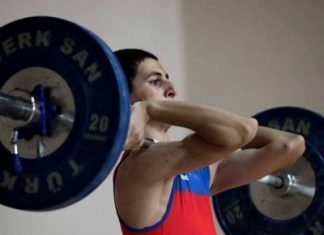 Then a group of athletes representing Azerbaijan at international competitions, world and European championships were rewarded with honorary diplomas of the Azerbaijan Powerlifting Federation. They are: Rufat Aghayev, Vugar Namazov, Mustafa Ahmedov, Hafiz Verdiyev, Rustam Musayev, Mushfig Aliyev, Bakhtiyar Guliyev, Razim Huseynov, Sevil Hasanova, Gunduz Mammadov, Elmir Tarverdiyev, Ramil Ahmed, Rovshan Khalilov, Ramin Rzayev, Shahin Eyvazov, Bayram Aliyev, Kamil Gafarov, Eldar Mammadov, Zarifa Huseynova and Vusal Mardanov. At the end of the event, certificates of Azerbaijan Powerlifting Federation were presented. 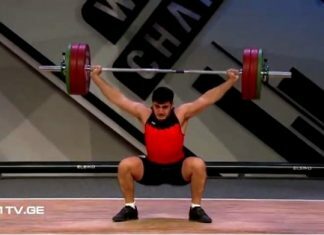 President of the Azerbaijan Powerlifting Federation Aladdin Aliyev bestowed the head of the Delegation of the Iran Islamic Republic Bahman Halimamagani, experts Gadir Babayev, Shamsi Bayramov, Azad Mustafayev, Azer Mustafayev, Samir Mammadov and Seymur Askerov. 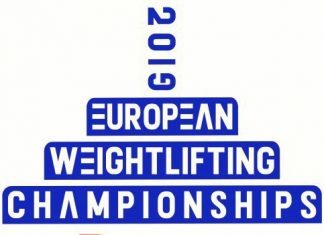 After the opening ceremony, the competition proceeded with performances on deadlift. Last medals have been shared between masters!